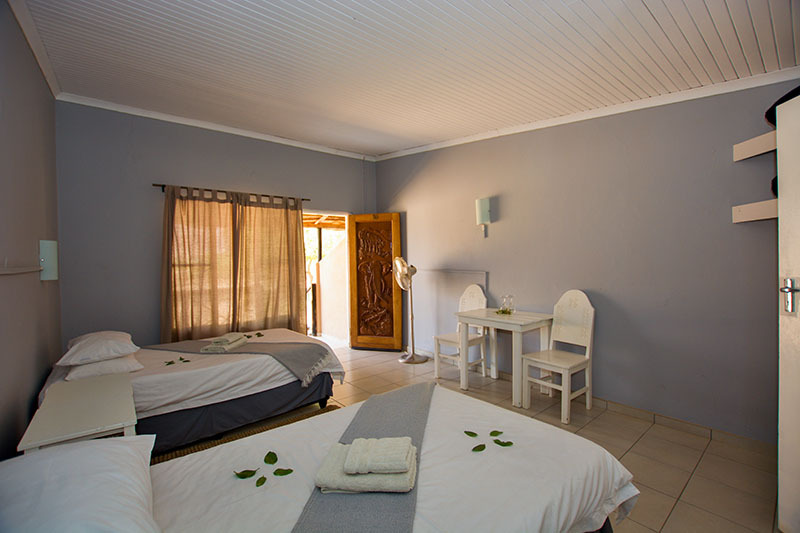 We have eleven standard rooms. 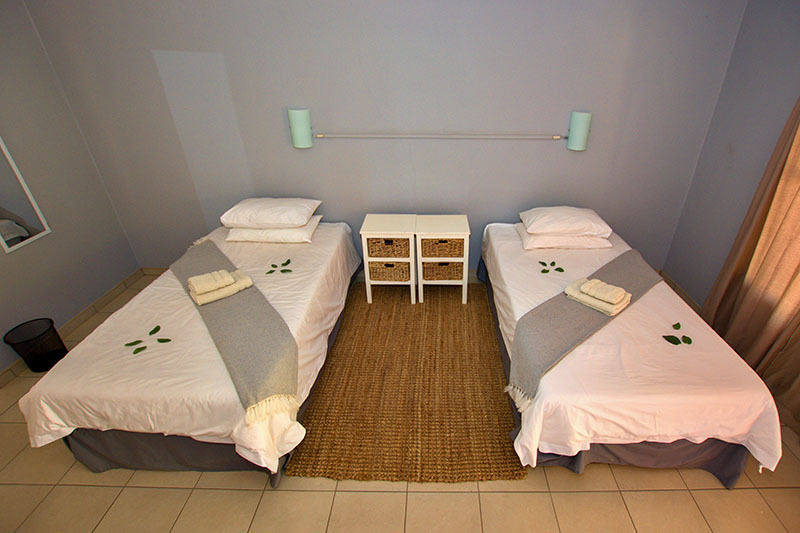 The rooms are situated next to each other and spread between 2 blocks. 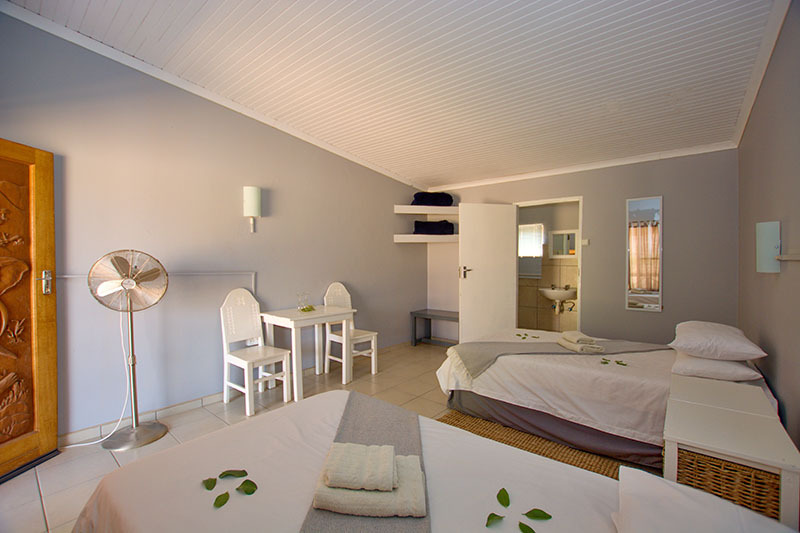 The first block has 7 rooms next to each other and the second block has 8 rooms. 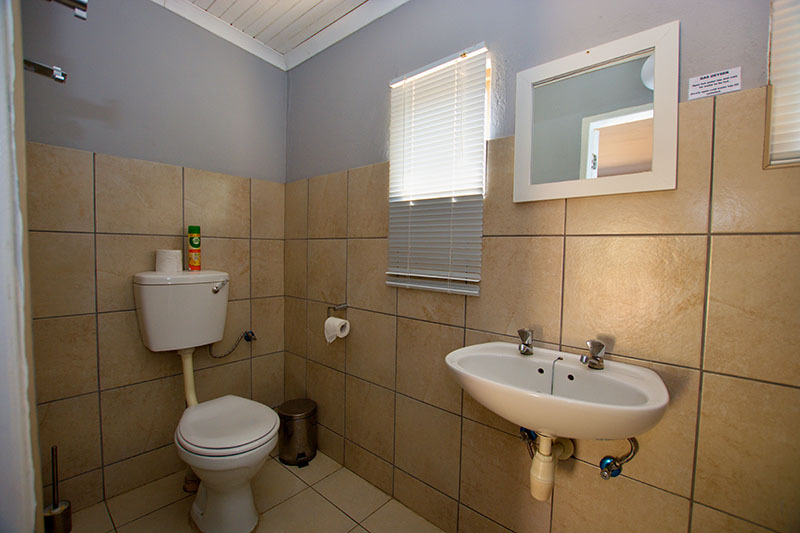 Each block starts with and ends with a family unit, the rooms in between are all twin rooms. 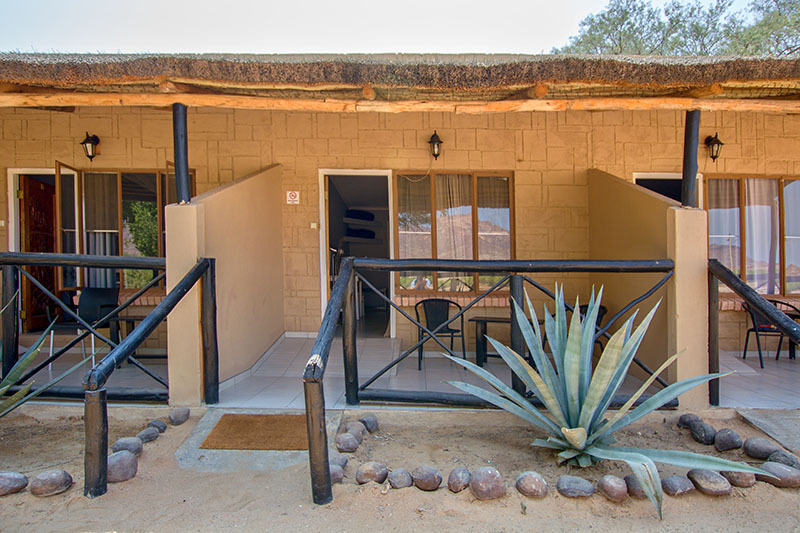 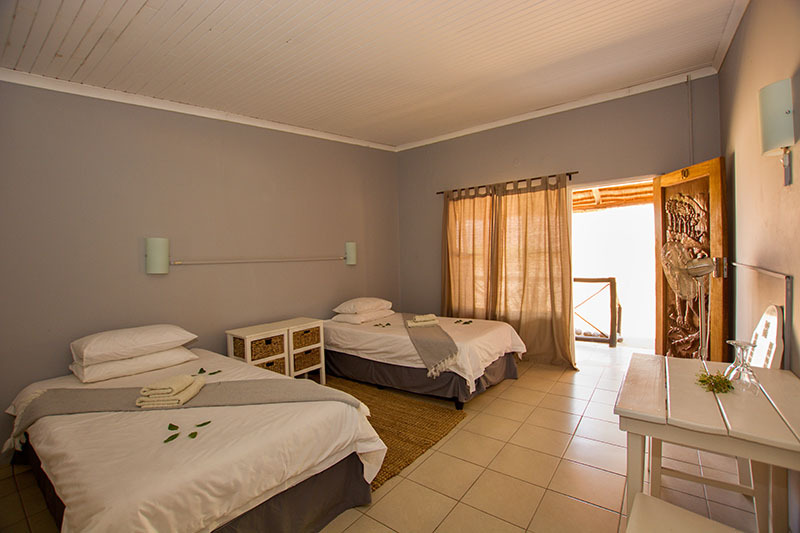 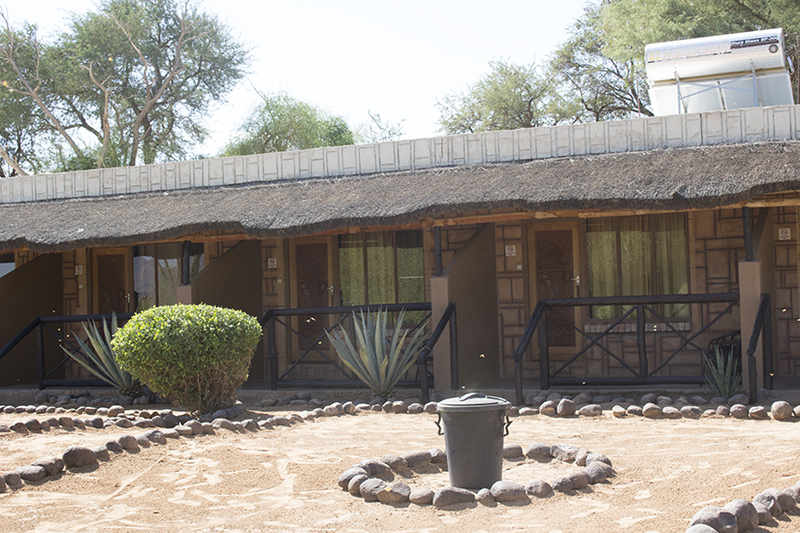 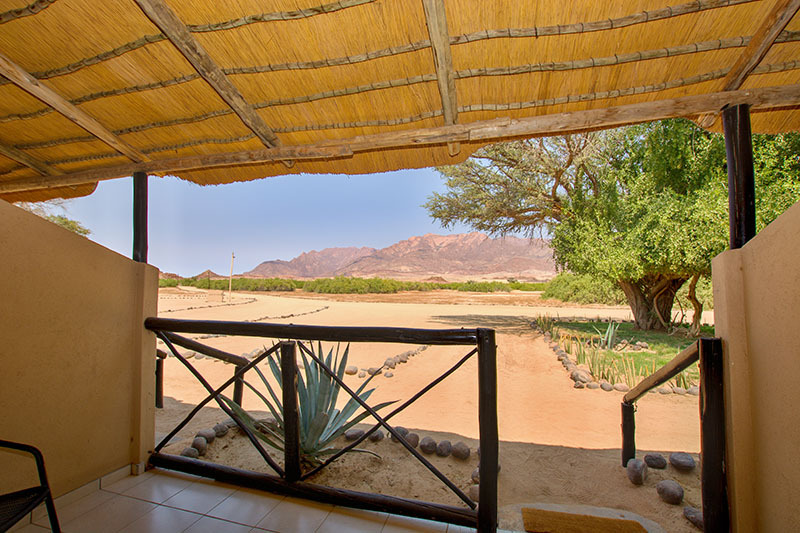 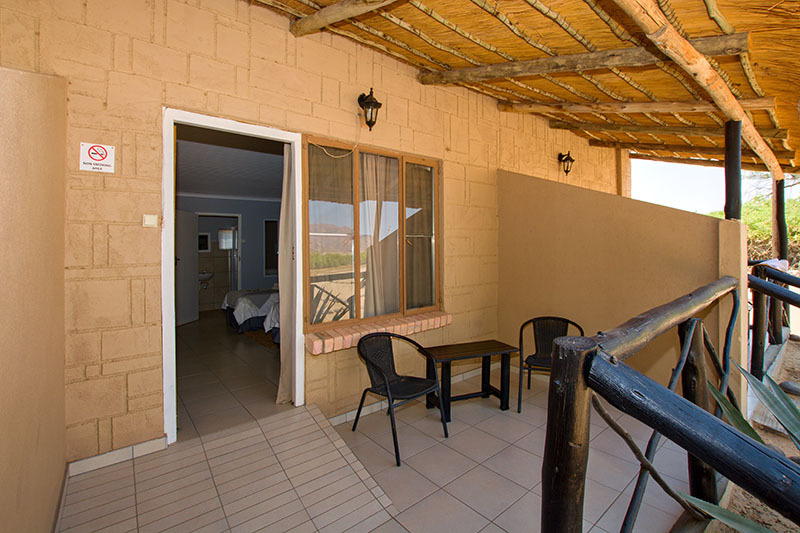 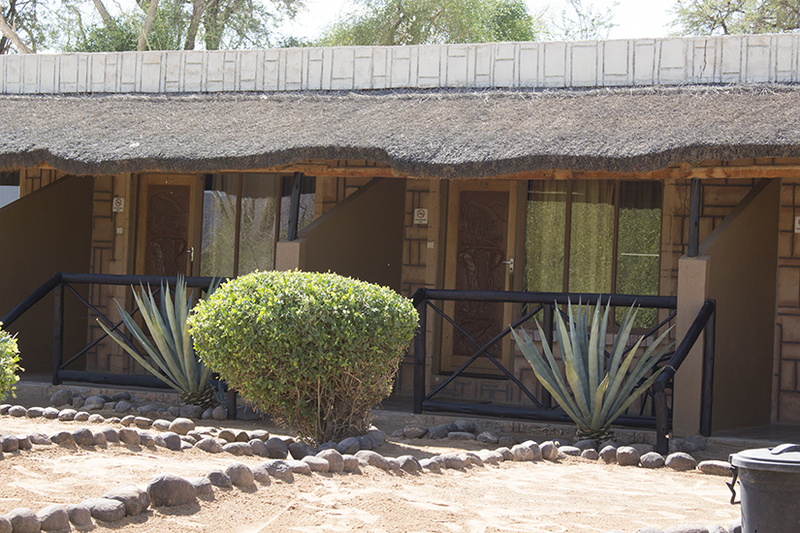 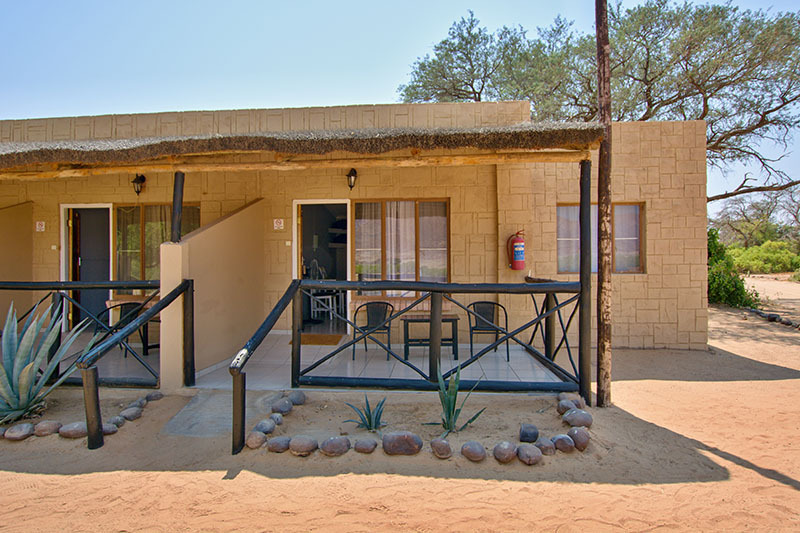 Each twin room has two ¾ beds in each with an en-suite bathroom and small veranda outside. 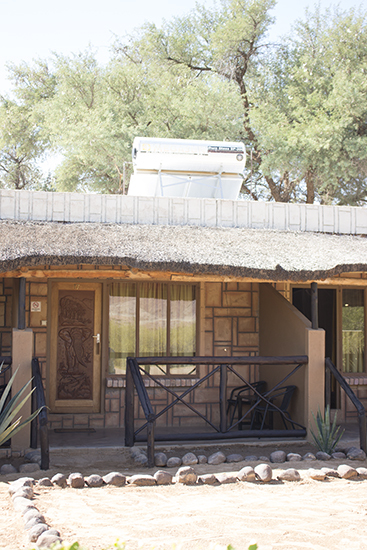 The rooms run on solar power, but each room has a fan. 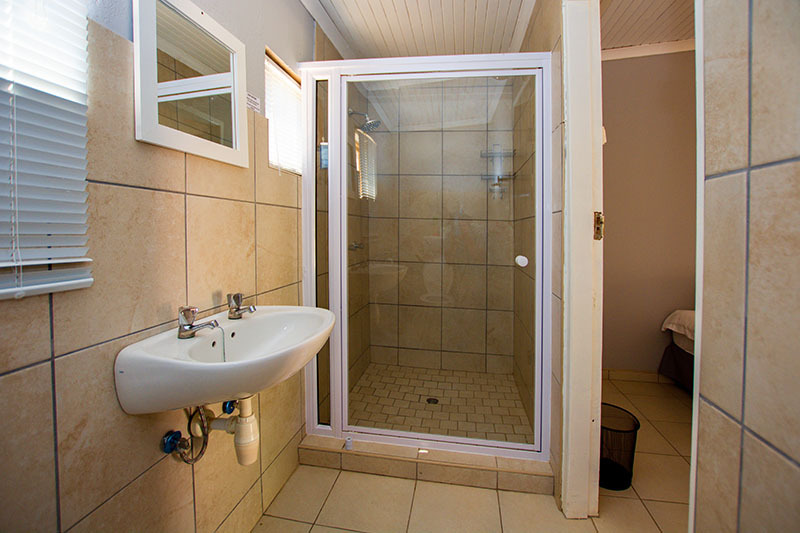 Bathrooms have gas geysers for hot water. 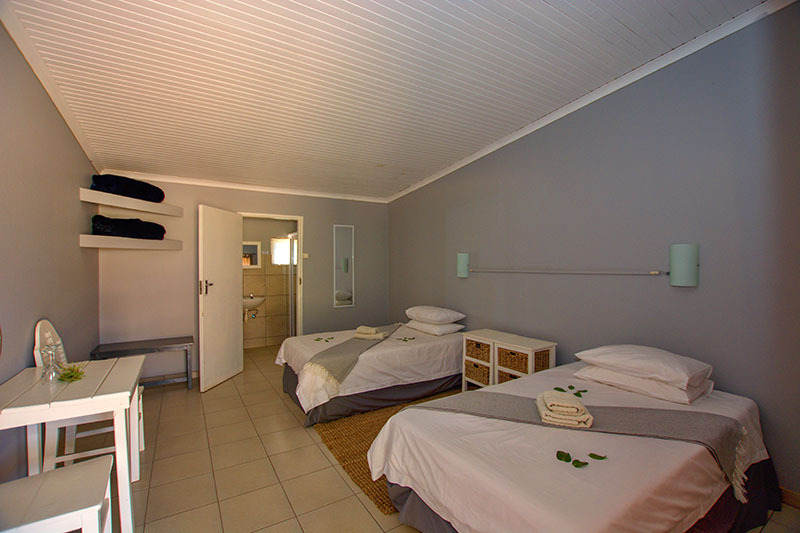 The rooms are perfect for big groups or people who are travelling together and wish to stay next to each other.